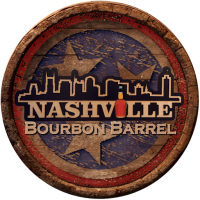 This site is about the discussion, enjoyment and reviewing of dark alcoholic beverages especially those found locally in the Nashville area. Beyond the fact that whiskey is golden brown and burns when you drink it, how much do you actually know about this spirit? Can you tell the difference between Scotch whisky and the American stuff? Or between bourbon and rye? What about a neat pour—what exactly does that mean? This site is intended to help answer some of these questions. We also aim to lay a foundation of members and reviews that will help us all enjoy the best spirits and avoid the rest.